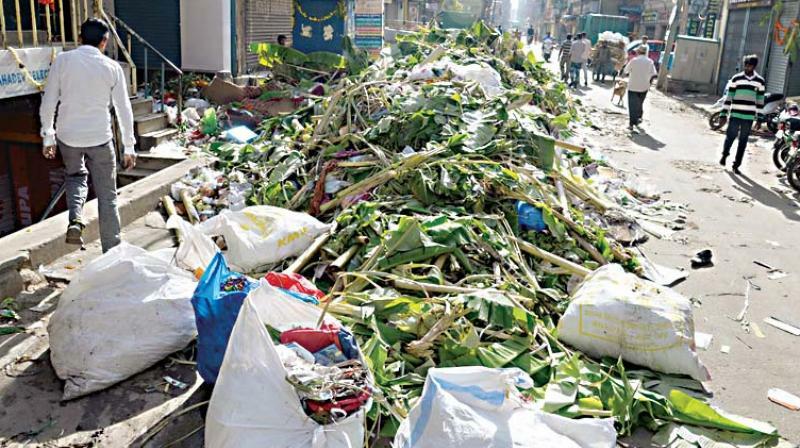 Bengaluru: Those illegally dumping garbage in and around Govindraj Nagar under cover of darkness and scooting off in their vehicles, better watch out. BBMP has installed 175 CCTV cameras in the area and it will help its officials monitor illegal dumping and burning of garbage, and other anti-social activites. “We soon expect to cover all the wards in the city with CCTV cameras. In December, we will direct all the ward level officials to carry out a recee in their particular wards and find suitable spots where CCTV can be installed and they will have to submit a report. We will also examine the spots and start installing the cameras. We will hold a meeting with the Mayor and BBMP Commissioner and after their approval we will began the work to identify the spots,” added the officer. Another officer mentioned that the presence of the CCTV cameras will create a sense of fear among the people. “These cameras will act as a deterrent and the public would think twice before dumping garbage. The visuals will provide us with evidence to penalise people for dumping or burning garbage. These evidence will be provided to the Marshals, who can penalise the people after confirming the incident. The CCTV will also be helpful for the police department, as they can also obtain the visuals for the process of investigation,” the official added. According to BBMP sources, in 2019 all 198 wards would be equipped with CCTV cameras.